Spirituality has always been a driving force for me. Most of my travels have been called upon to satisfy an inner desire to witness divinity of the supreme master for whom we take birth, live a life, and die. Buddhism is one of the most prominent religions in several parts of the world, but the Interesting fact is that its roots lie deep in India. Most of the reminiscent legends and symbols do exist to speak about Buddhism and Lord Buddha. And, there are some serious group of people, who are trying to preserve those legends for the future generations to come. 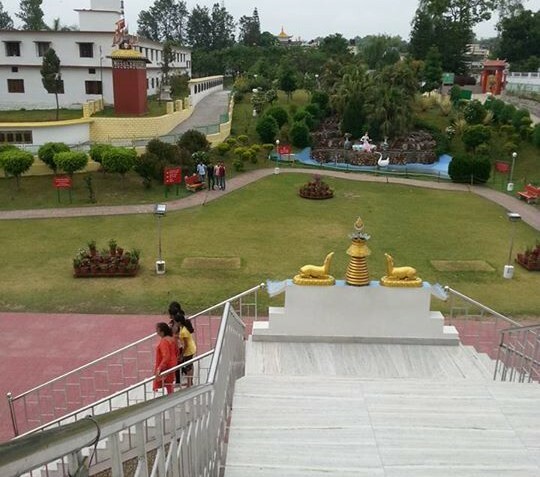 Such is a place, located in the close vicinity of the city of Dehradun – Mindrolling Monastery. 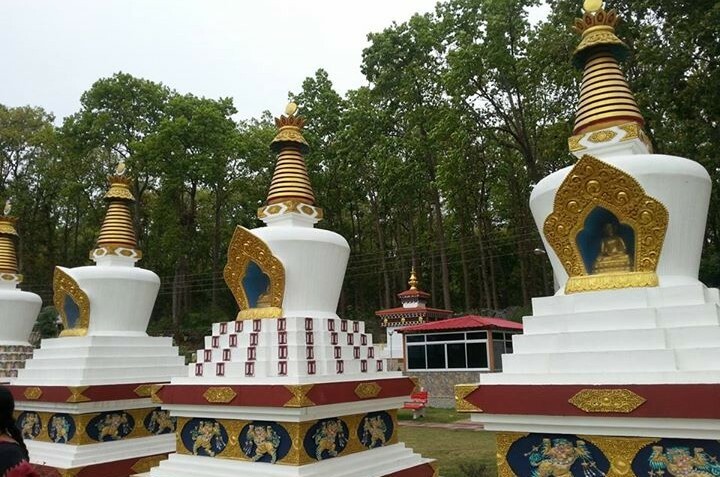 The Mindrolling Monastery, located near Clement Town inDehradun is the India location of the centuries-old Mindrolling Monastery of Tibet. In Tibetan language, Mindrolling means the ‘Place of Perfect ancipation’. This monastery, in every meaning, has kept the traditions, art, cultures, and dignity of the Buddhist monks alive. Last time I was in Dehradun, I had an entire day of leisure to make it count by paying a visit to the Mindrolling Monastery in India. I had learned a lot about the place and the various aspects of Buddhism and the Buddhist monks through the Internet. I had a desired for long to witness them all by myself. So, started for my endeavor. Clement Town is not too far from the main Dehradun town. It is hardly 10 kilometers away. If you take the NH 72A for close to five and a half kilometer and continue on to ISBT Turner Rd/Turner Rd for another two and a half kilometer, and then take Selection Board Rd towards Quarter Deck Road, it will reach you to the monastery. There are regular shared autos and hired autos plying to the spot from Dehradun. The Monastery and surrounding regions is home to a large number of Tibetan Buddhist people, who are thriving to keep their culture alive. The streets around here hold some good Tibetan cafes. From a distance, the main 60 meters high main stupa is visible. 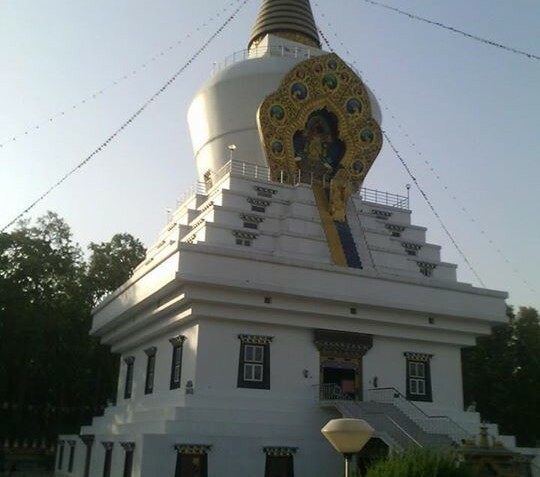 This stupa is believed to be the world’s tallest stupa. The stupa within itself is the home to a series of shrine rooms. 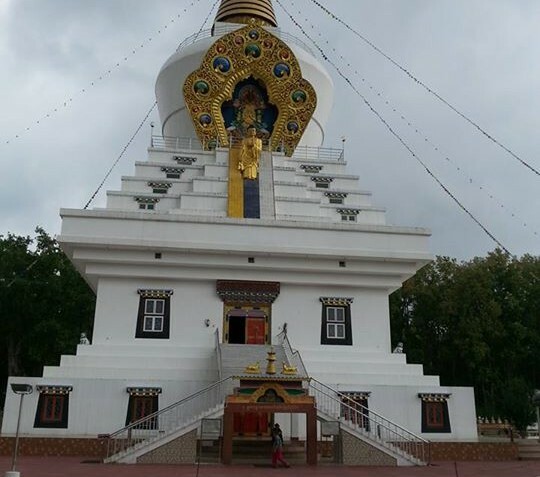 A 35 meters high gold Sakyamuni Buddha Statue is empaneled to the wall of the stupa that faces towards the visitors. This statue is dedicated to his highness, the Dalai Lama. After I reached there, for a moment, I just got stunned looking at the magnificent Buddha statue. The entire surrounding started to reveal its piousness. The atmosphere was clean and filled with freshness. The garden there is very lovely. Pine trees all around the place multiply the natural beauty of the place. There were uncountable numbers of monastic residents all around. They are the people, who stay in the monastery and learn about Buddhism. I was impressed to hear the melodious chants by a group of monks. I found few monks practicing on their dungchens, which are actually the Tibetan horns.